Art Basel is opening its 47th yearly fair today. From modern masters to emerging international artists, the range of works on display covering modern and contemporary art is wide and extensive. Over six days, Art Basel presents various sectors, performances and talks while art institutions present a special program on occasion of the fair. In 1970, three Basel-based gallerists, Ernst Beyeler – founder of the Foundation Beyeler – Trudi Bruckner and Balz Hilt created for the first time an international art fair. 46 years later, Art Basel is the largest art fair worldwide with two younger sisters, Art Basel Miami and Art Basel Hong Kong. For the 2016 edition of Art Basel, New York-based curator Gianni Jetzer takes over the ‘Unlimited’ section. A contemporary art space overstepping on classical stands by showing works with a literally unlimited size. More than 4.000 artists are presented by a passel of galleries including Bortolami, Luhring Augustine, Pace Gallery, Petzel Gallery, Sprüth Magers, White Cube and David Zwirner. The likes of Hans Ulbrich Obrist and Bernd Scherer will debate in the Conversation & Salon talks. The film section features movies from and about artists interrogating the cinematographic medium nowadays. Art publications also have a seat of honor within the art fair providing visitors with rare publications and exclusive books. 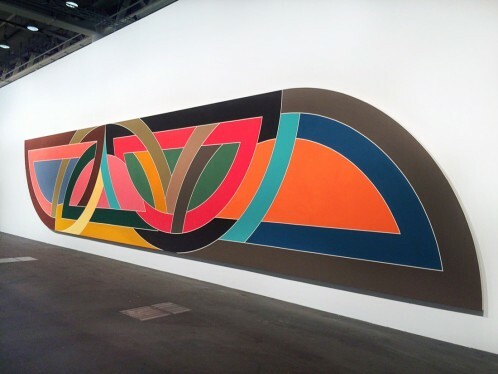 Frank Stella presented by Sprüth Magers at Art Basel 2016. 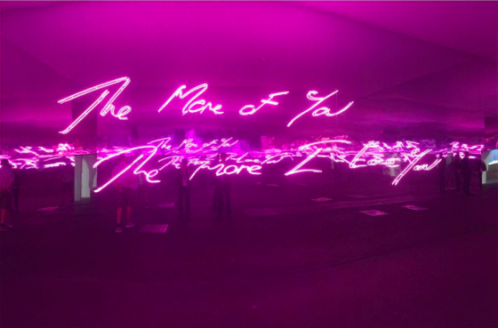 Tracey Emin, ‘The more of you the more I love you’, 2016, presented by White Cube Gallery as part of Art Basel Unlimited, Hall 1, Booth U50.